Cabo Frio, Rio de Janeiro, August 13 – 17, 2018. In just the past few years, there have been a number of significant advances in building explicit links between tropical geometry and the algebraic geometry of moduli spaces, especially for curves and abelian varieties, using skeletons of nonarchimedean analytic spaces as a bridge between the two. These links explain many older correspondence theorems, from the beginnings of tropical enumerative geometry, and are being used to establish new correspondences and to prove new enumerative results of classical flavor, e.g. for counting curves with fixed invariants, and to prove degeneration formulas for logarithmic Gromov–Witten invariants as part of a broader program linking tropical geometry to mirror symmetry. 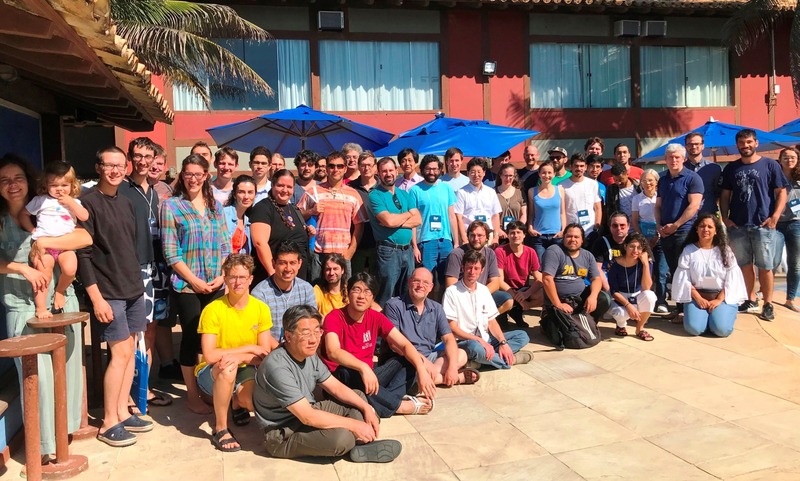 At the same time, new algebraic foundations are emerging for scheme-theoretic tropical geometry, built out of the idempotent semirings studied by Brazilian mathematician and theoretical computer scientist Imre Simon. 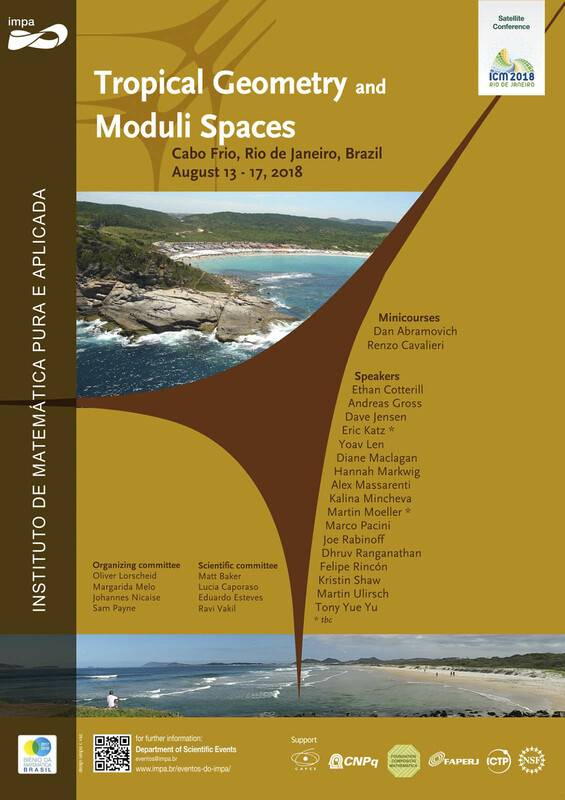 We plan to use the gathering of a vast number of mathematicians for the 2018 ICM in Rio de Janeiro as an opportunity to bring together international and local experts working on tropical geometry, moduli spaces, and nonarchimedean analytic geometry for a conference that will include research talks by leading experts along with mini-courses to help graduate students and early career mathematicians enter this young and very promising area of mathematics. There will be limited funding for the workshop, with a preference for young participants and participants from Latin America and developing countries. We recommend strongly to apply for funding until March 31st.